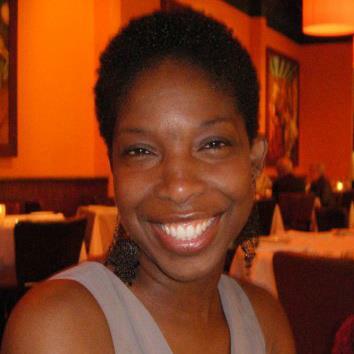 Welcome to Episode 16: The Hunk of Stone with our lovely guest the poet, Pamela L. Taylor. She discusses writing between Willy and Wally, living the double life of a poet, in her own words a data guru by day and a poet by night. She describes her process of carving down “The Hunk of Stone,” picking publications, and really knowing when the poem is right. In Preparing the Space, I discuss the eternal question of the artistic form, “Are We Dead Yet?” And in What’s on My Desk, I take a look at the wonderful poem, “Disguising Weapons, Everyday Objects” by the poet Erica Wright in the latest issue of Gulf Coast. So do a few mountain poses, maybe a downward dog or two and give us a listen! Pamela L. Taylor is a data guru by day and a poet by night. She has a doctorate in Social Psychology from UCLA, an MFA in Writing from Vermont College of Fine Arts, and is a Cave Canem Fellow. Her work has appeared or is forthcoming in Backbone Press, Blackberry Literary Magazine, Construction Literary Magazine, Pedestal Magazine, Sou’wester Literary Journal and When Women Waken. For the past five years, she has been a co-organizer of Living Poetry, a group that organizes and promotes poetry events throughout the Triangle area of North Carolina. When Pamela is not working or writing, she’s dancing Argentinean tango. Her blog, www.poetsdoublelife.com, is geared toward poets with non-literary careers. You can check out “Disguising Weapons, Everyday Objects” by Erica Wright here. Now at first, the whole statement dares the reader. The artist will not commit the act unless the reader is willing to take a similar risk. But the words that get me have always been edge and precipice. They are the boundary, extremity, fringe, margin, side; lip, rim, brim, brink, verge; perimeter, circumference, periphery, limits, and bounds. I know them both from the chair of the audience and writing with a gall to welcome strangers into my words. It is here, dear friends, I begin. It is a difficult task, only because I too am afraid to fall. These words feel tarnished. So many willing to play, so few willing to clean. Over the course of our humanity we’ve perfected the scalpel once stone, once bronze; we’ve even gone and gilded us the handle; tried silver a generation or two after that. But then what precious metal do we apply to the task? Platinum? No, that’s too rare and too flashy. Titanium? At first no, as there are the stories of wedding bands that can only be released if the finger is severed. Then again, there’s that word—synthetic—beyond the polyester, nylon and high-fructose, it ain’t all that bad. And yet, if it’s purity we’re looking for it ain’t found, no, it’s touched by a raised hand stained in earth. And I was going to pepper my statement here with clips from the song “No Leaf Clover,” but given the band’s penchant for people using their songs without permission, I rerain; I don’t need my podcast to be that popular. I digress. I mean to say that all of us have that moment whether infantile or even pragmatic where we know that this word, this line, this sentence, these cells will stand alone. They will emerge from the medium. Out in the light of day or wandering home in twilight, the art will take on a theater of the mad all its own. And yet, the problem, as with all parents, is guidance. We want it to be all these dreams, wishes, and hopes. Unfortunately, our deepest desires often amount to nothing more than a memory of adolescent provocations. In terms of modern poetry, yes, there was the time of Yeats and Elliot. Not so much Whitman and Dickinson, but yes, cummings again and again, all over the place for years. What I mean to say is yes, each art has there moment in the sun, when the world bends an ear, or tunes in “to use the parlance of our times” (Lebowski). But too many lament, too many hope for the grave and lay their flowers prematurely. Every once in a while and I imagine in almost every form, though it seems to occur most often when discussing words and letters and such, there is the question, are we dying? Has the written word lived out its usefulness? No. And Speaking of metals, yes, we live in the golden age of television, like the seventies were for film or was it the forties that will always “be! Nothing else! Just us, the cameras, and those wonderful people out there in the dark!”? Regardless, every form loses sight of the world. Again, no. In many ways we are the most alive as artists when the world has turned its back to us. Many and dare I say all of us begin out of a need to express something that we cannot achieve in our everyday discourse. And due to technology, everyday discourse is more complicated and nuanced than it has ever been, and to the point of distraction. When the zeitgeist is not staring us down, monitoring our likes and dislikes, trying to define the a community of artists under one umbrella, like what age this is, we are free to go about our work without the added distraction of populist belief. Think how much work our politicians might get done if we did not have a twenty-four hour news cycle. Now is the time when we can experiment. Dylan should have waited till now to go electric. We are a fringe community. Last year over 110,000 books were published. Thousands of poetry books, and out of those thousands, the majority probably only sold 100-200 copies each. My point is this, we write in a time when we need not worry about the size of our audience. None of us are popular, and especially in poetry, the age of the rock-star poet is gone, for now. Sure there are a few names out there, but honestly, how many will stand the test of time? Regardless, we do not need to worry about the audience, because somewhere there’s a few hundred people waiting to read our work, we just have to find them. We are all on the edge, and the best thing we can do is come closer to fall and fly away.